Thanks for visiting the SV3Power web store! After much deliberation, and for a variety of reasons, I have decided to officially close SV3Power Products. I plan to continue building parts until existing inventory is used up, and I will post on Facebook as those parts become available. Components such as flanges, gaskets, and hardware not used in the construction of other parts will be made available later. This website will remain online for a time to act as a reference. However, I do not plan to take any new orders for headers, downpipes, cats, mufflers, etc. 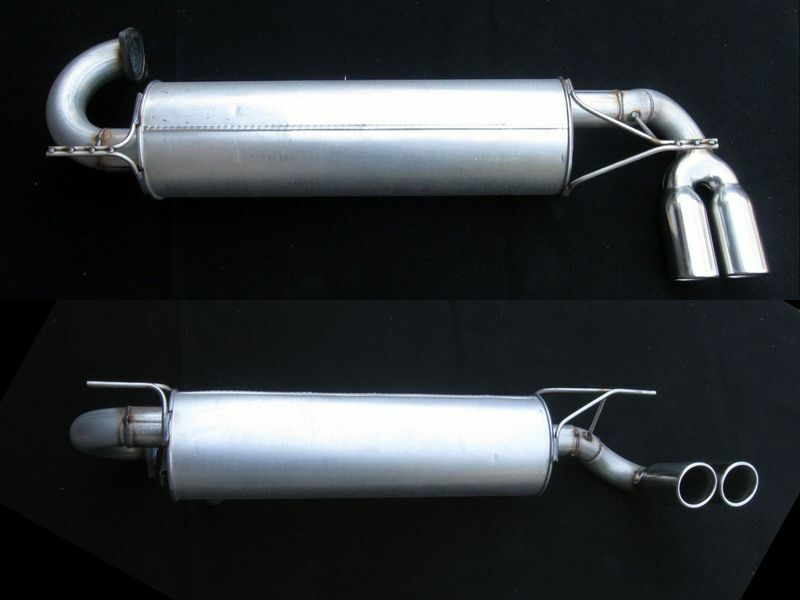 SV3Power was created to give owners of the first-generation Toyota MR2 a source for quality exhaust system components. While Toyota and mainstream aftermarket suppliers are discontinuing parts, we are adding new products to fill that gap. And our products fit like OEM and give you the performance you expect. Each product has its own page, so check everything out. Please read the FAQ and Virtual Order Advisor if you have questions; use the Contact Us link on the right side of the page if you can't find what you need there or in the product description. Buying more than one part? If those products fit together (a downpipe and catalytic converter, for example), you will automatically get a discount! This discount will show up on your checkout page. PLEASE READ THIS: Due to small volume, this business is run on a part-time schedule. We develop and build these parts after work and on weekends and we typically ship once a week. Each order is custom built on a first-come, first-served basis. Please allow a minimum of four weeks to build and ship any order.